The Sino Italian Ecological and Energy Efficient Building (SIEEB) at Tsinghua University in Beijing is a shining example of a building that has employed energy-efficient glass to ensure it works with the environment and not against it. 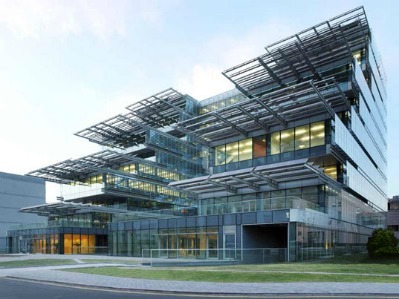 Designed by Italian architect Mario Cucinella this centre for energy consumption research optimises solar energy. Double glazed façades combined with horizontal sunshades were used to create the building’s exposed exterior on the east and west. In addition, pivoting glass louvers with reflective coating cover the exterior walls of the courtyard to regulate daylight and solar gain. This innovative use of energy-efficient glass ensures that the SIEEB harnesses the power of natural energy sources all year round. Another impressive addition to China’s growing stable of energy-efficient buildings is the University of Nottingham’s Centre for Sustainable Energy Technologies (CSET) that is located in the burgeoning sea port of Ningbo in the North East of the country. 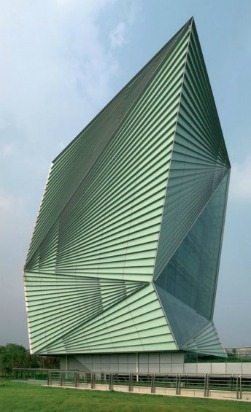 The shape of the building is inspired by Chinese lanterns and it features an array of energy-efficient measures that make it the first zero-emissions building in China. Energy-efficient glazing performs an important role in ensuring that the CSET consumes little energy. The building envelope uses energy-efficient glazing to manage solar radiation and reduces the need for air conditioning. Alongside this a large rooftop opening works to optimise the effect of the solar glazing as it creates natural ventilation that allows daylight to illuminate interior spaces. The benefits of energy-efficient glazing experienced by the buildings mentioned in this blog can also be achieved by homeowners who opt to install energy-efficient glass.Here at Pilkington we have a variety of glazing solutions in the Pilkington energiKare™ range that can help reduce the carbon emissions of the average home and help reduce fuel bills. For the UK climate Pilkington energikare™ energy efficient glazing quite simply lets more desirable heat from the sun in, and reduces the amount of heat lost through your windows, helping to keep your home warmer. While all double glazing is more energy-efficient than single glazing, Pilkington energiKare™ is more than twice as energy efficient when compared with older double glazed windows.